Looking for ways to help your coaching staff get the most from their players? Check out our list of the top soccer training technologies and innovations. Once upon a time, soccer coaching technologies didn't get much more advanced than some high-visibility vests, a clipboard and a whistle. It's safe to say that's no longer the case. 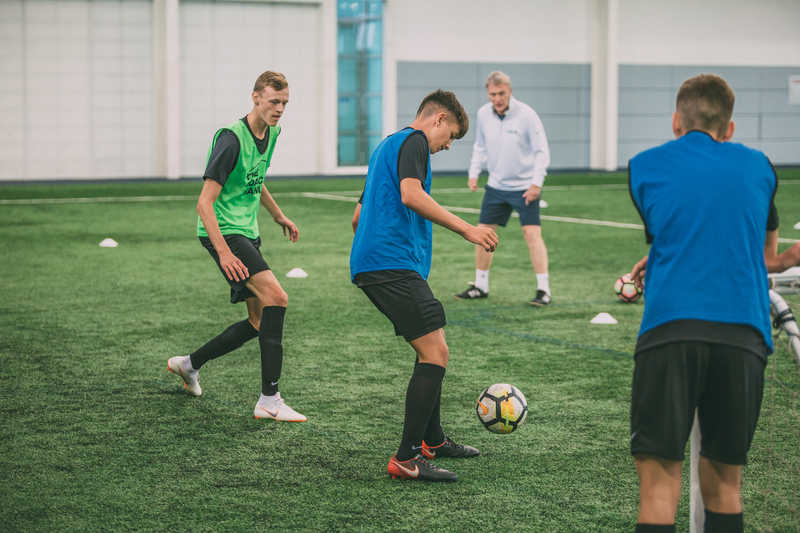 Whether they're working with elite players or enthusiastic youngsters taking their first steps in the beautiful game, your coaching staff can benefit from a vast range of technological solutions. As a Director of Coaching, you naturally want your coaches - and players - to have access to the latest and most useful technologies and innovations. But it can be hard to know where to look. With that in mind, we've picked out our favourites and segmented them into three categories - Software, Hardware and Hardware with a supporting app. 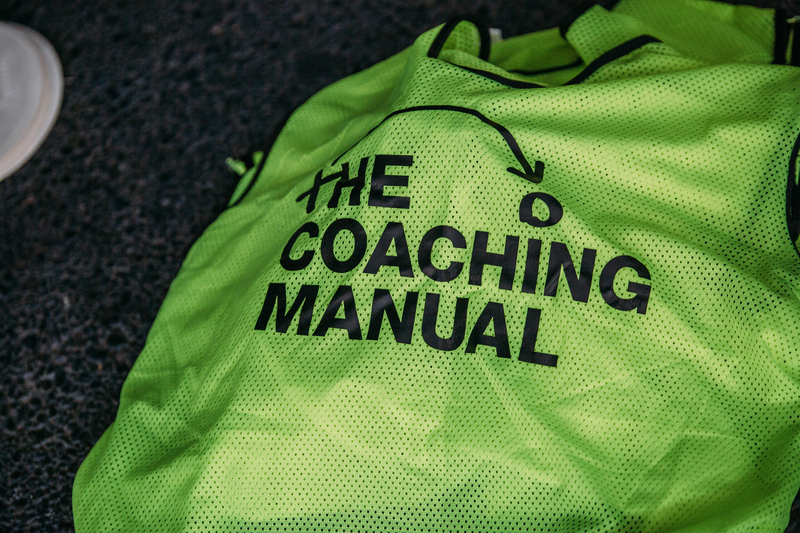 Coaching can be highly labour-intensive, with hours spent on tasks like planning training sessions, running through tactical plays and communicating with parents. These pieces of software will help to free up their time and take their coaching to the next level. 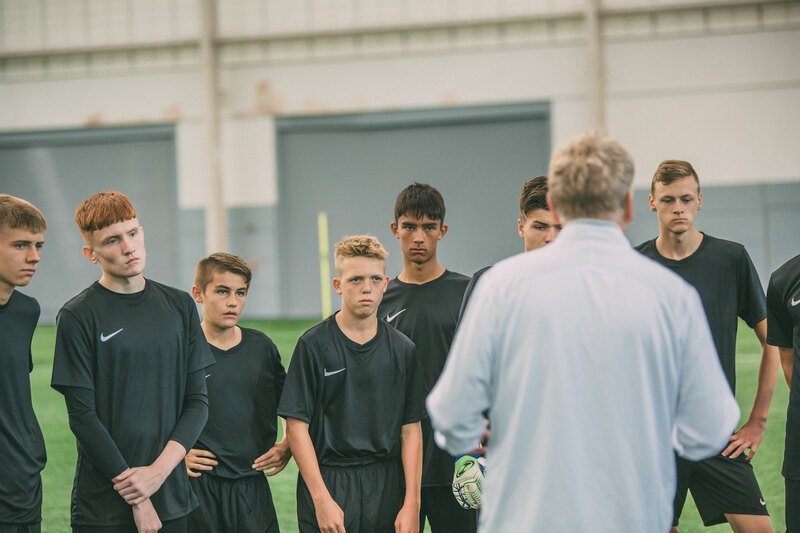 Our broadcast-quality coaching videos are produced in partnership with English Premier League side Southampton FC, as well as LMA coaches such as David Moyes and Stuart Pearce. Some of our other partners include the League Managers Association, Rangers FC, and the New Mexico Youth Soccer Association. For coaches who already have enough to worry about on game day, Soccer Dad will even manage substitutions automatically to ensure that every player gets a fair amount of time on the pitch. Think the world of soccer equipment hasn't moved on since the invention of cones? Think again! This simple piece of equipment is a great learning aid for younger players looking to enhance their soccer skill set. Comprising a lightweight device worn on the player's kicking foot, over the outside of the boot, the SockIt lights up every time the ball is kicked correctly - that is to say, with the instep. It's common for kids to kick with their toes instead, which can cause a range of issues, from strained muscles to impact injuries like nail trauma. The SockIt's fun design is great for kids, while the instant feedback provided by the lights helps them to understand when they've made the right contact with the ball. The Goalshot may look simplistic, but its design has been backed by hundreds of hours of research and analysis. The product's inventor used heat maps from every English Premier League goal between 2004 and 2014 to identify the areas of the goal in which most shots are scored. These areas - in the four corners of the goal - accounted for more than eight out of every ten goals scored throughout the study period. Equally effective for solo or team-based drills, the Goalshot is designed to help players visualise the key target zones highlighted by the research, and build the muscle memory - through repeated actions - required to hit those areas time after time. By combining physical hardware - either a wearable device or a piece of playing equipment - with a smartphone app, these technological innovations allow coaches and players to access immense levels of real-world performance data. The Apex unit has already been picked up by a host of elite clubs across the English Premier League and Spain's La Liga. In 2018, device manufacturer STATSports signed a deal with the US Soccer Federation to distribute 6,500 Apex units to clubs at all levels across the US. DribbleUp takes measurements from the ball itself to chart player performance across a range of metrics. The smart ball is designed to improve ball control, dribbling and shooting by monitoring data based on thousands of hours of interactive practice drills. For instance, players are scored on their ability to hit the top corner of the goal when shooting, or keep the ball between two virtual cones when dribbling. Parents and coaches are kept up to date on player progress via weekly reports. Obvious as it may sound, the inclusion of two sensors allows First11 to track touches of the ball with both feet, making it a great tool for players looking to strengthen their weaker foot. Billed as the "world's first football smartcoach system", PLAYR comprises a wearable vest and sensor that tracks all the key performance metrics and visualisations you'd expect, from speed and distance measurements, to heat maps demonstrating on-field action zones. 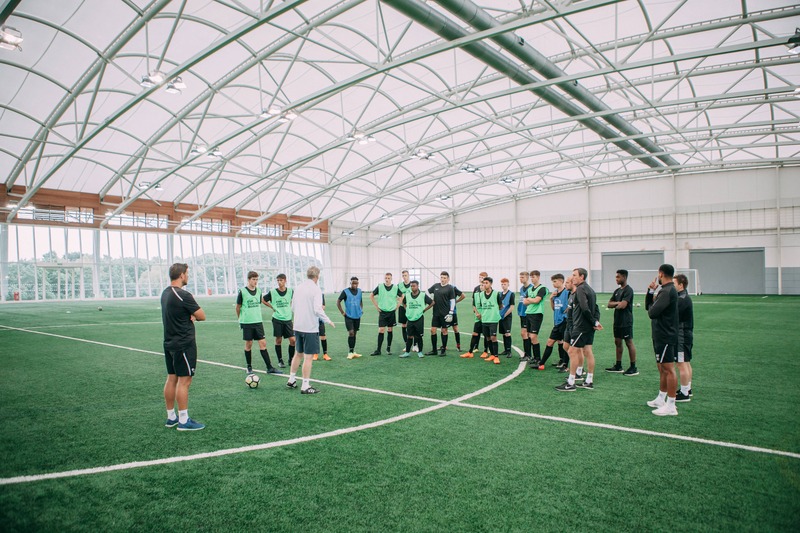 What separates PLAYR from the competition is the SmartCoach app, created in tandem with coaches from the English Premier League. 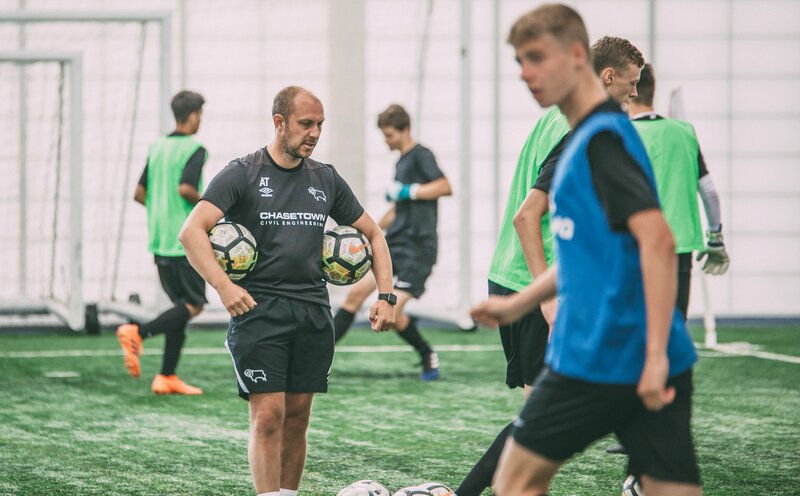 It uses data captured by the sensor to provide bespoke sports science advice contextualised for each training session, covering everything from effective recovery after a heavy training session to individual drills aimed at preventing injuries.